Cape Town – The pieces of the Freedom Day paddle puzzle are all falling into place ahead of the second edition of the surfski race around Robben Island on Saturday 27 April as the race entry surged past the record for the biggest every surfski event in the Western Cape, and more corporate backers get behind the event. This week a flood of last-gasp entries took the total number of athletes entered past the previous record of 305, set in the heyday of exploding interest in surfski paddling in 2003 at a surfski series grading race at Fish Hoek. 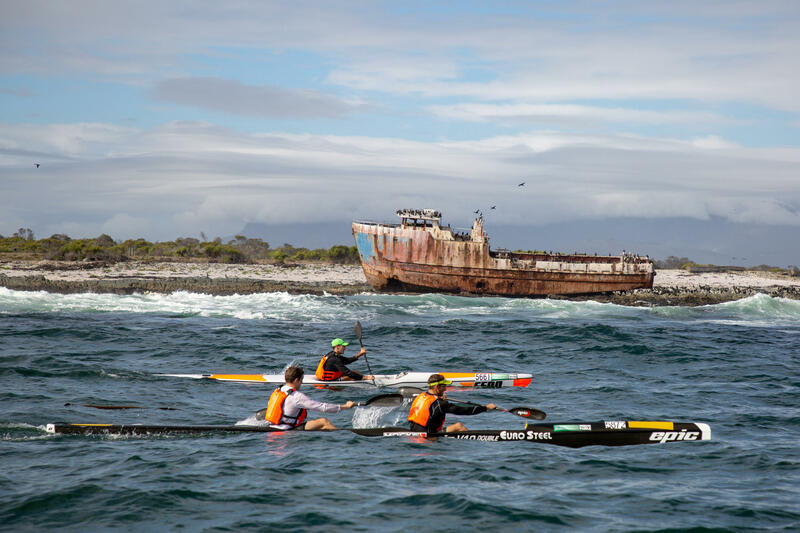 The event has resonated with surfski paddlers from around the country, eager to get involved with the opportunity to honour Nelson Mandela’s legacy on Freedom Day by paddling around the island where he was imprisoned. That ethos has also driven several major brands associated with the sport to get behind the event, helping it continue it’s remarkable growth trajectory since its inception last year. Euro Steel, arguably the biggest backers of canoeing in South Africa at the moment, have thrown their weight behind the event, taking a long-term view on supporting the race’s growth, and paving the way for many of their elite team members to take part in the event, including the multiple world marathon champion Hank McGregor and the reigning women’s surfski world champion Hayley Nixon. Red Bull has followed suit, investing in the event and ensuring their paddling ambassador and FNB Dusi icon Sbonelo Khwela travels to Cape Town to be part of the event. Defending Freedom Paddle champion Jasper Mocké, who together with his older brother Dawid drive the Mocké brand that produces a wide range of surfski products, have also put their hands up to ensure that participants to the event get their quality apparel as part of their event goodie bags. Not that there will be any bags involved, as the race champions the drive to clear the ocean of plastic pollution that was a strong motivation behind the establishment of the event last year. The race forms the fourth leg of the five-race Freedom Paddle Doubles Series presented by Dunlop Tyres, and also the SA S2 Championship title decider for 2019. 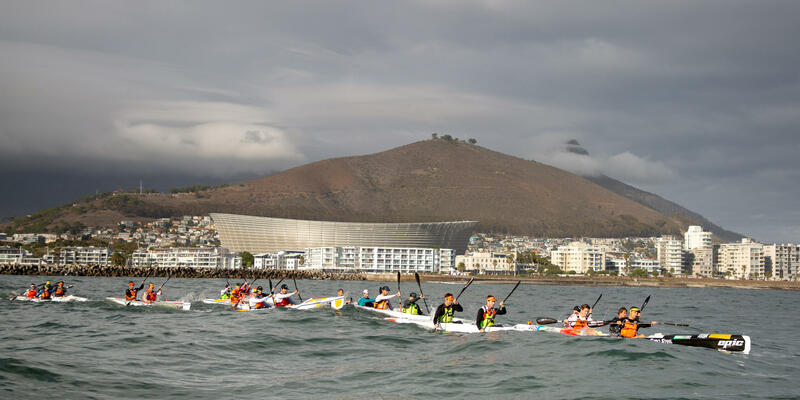 The race will be followed by a single ski race on the Sunday that will, unusually, allow surfski paddlers to challenge for the Canoeing South Africa double ski title at the Freedom Paddle, and the single ski equivalent on the following day. The Freedom Paddle has broken the Western Cape record for an entry into a surfski event when the race entry passed the old 305 paddler record this week. 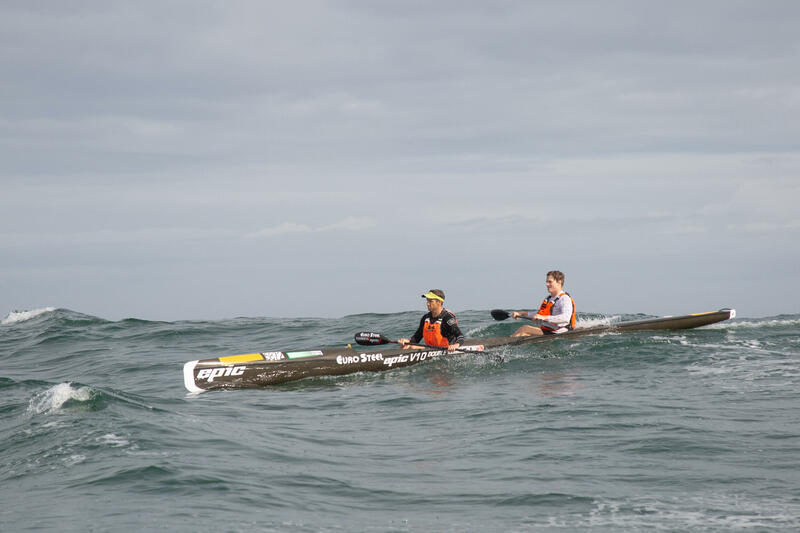 Jasper Mocké and Nicky Notten won the inaugural Freedom Paddle title in 2018. Mocké has brought his family surfski brand to the 2019 event.